Acorn: The acorn, or oaknut, is the nut of the oaks and their close relatives . It usually contains a single seed (occasionally two seeds), enclosed in a tough, leathery shell, and borne in a cup-shaped cupule. Acorn Computers: Acorn Computers Ltd. was a British computer company established in Cambridge, England, in 1978. ACORN 2009 undercover videos controversy: In 2009, workers at offices of the Association of Community Organizations for Reform Now , a non-profit organization that had been involved for nearly 40 years in voter registration, community organizing and advocacy for low- and moderate-income people, were secretly recorded by conservative activists Hannah Giles and James O'Keefe – and the videos "heavily edited" to create a misleading impression of their activities.The edited videos were published on Andrew Breitbart's website BigGovernment.com from September through November 2009. They generated extensive, negative publicity for ACORN, and led to the U.S. Census Bureau and the IRS ending their contracts with ACORN, the U.S. Congress suspending its funding, and ACORN losing most of its private funding. Acorn Archimedes: The Acorn Archimedes is a family of personal computers designed by Acorn Computers Ltd in Cambridge and sold in the late-1980s to mid-1990s, Acorn's first general-purpose home computer based on its own ARM architecture. The first Archimedes was launched in 1987. 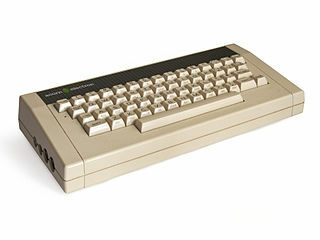 Acorn Electron: The Acorn Electron was a budget version of the BBC Micro educational/home computer made by Acorn Computers Ltd. It has 32 kilobytes of RAM, and its ROM includes BBC BASIC v2 along with its operating system.